Possibly my all time favourite lipstick! 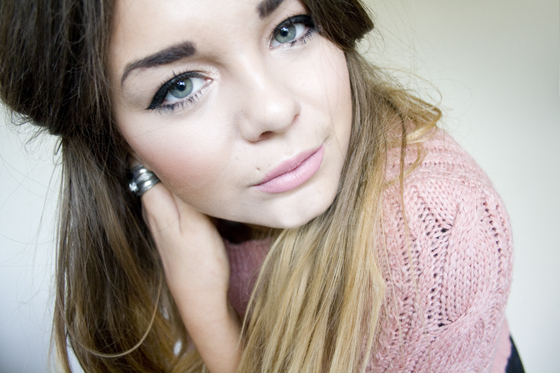 A beautiful matte mid toned pink, which I wear alot on my other blog. If you ever see me wearing something matte and pink its normally this lipstick. I got my second tube when I did a Back to MAC when I was in London earlier in the week. I think alot of people are funny about Matte lipstick finishes, as they can settle into lines and dry bits on your lips. Personally I think the Matte formulation of lipsticks from MAC tend to be wonderfully pigmented and smooth, I find Please Me to be really full coverage on my pigmented lips too, I think it looks alot different on thelips than it does in the tube, it draws far pinker on me. But this could be because of the colour of my lips, as they are very pink already! Please Me tends to wear on me for about 5-6 hours, and has a lovely vanilla taste! Highly reccomended! the lipstick is such a pretty shade, ive seen it before but its never caught my eye! I want to buy my first MAC lipstick and I have been putting it off for a while, because I want to get the perfect shade. Ive never really worn lipsticks that much, so I am just starting to experiment with what colours suit me! 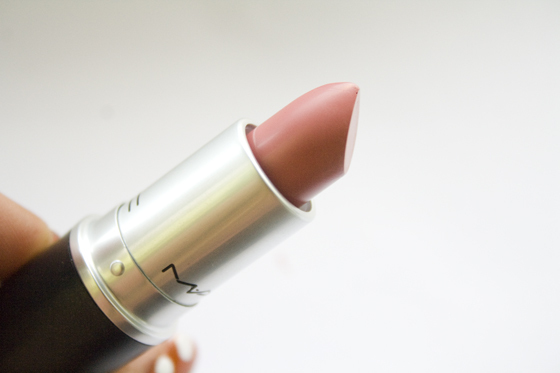 I love this colour, and it is going onto my list of MAC lipsticks to buy!! This looks so pretty on you. Will have a look at this one next time I am in MAC. Pretty colour and vanilla taste? I need. So pretty! Glad you shared this... Always love your pink lip! Eep! This was my first mac lipstick! It doesn't come out as pink on me though, more nudey! It's lovely though & I've nearly finished it! Tempted to try Pink Plaid next :) xo. Such a pretty colour. I have to try it for myself! Had no idea MAC had a scheme running like that! Will definitely be saving my used product bottles for a cheeky lipstick! Hue is on my list to buy for sure. I comes out much pinker on me than it appears in the the tube too but I have pretty much no pigment in my lips. I wish it wasn't quite so bright on me; its lovely on your skin tone. Looks lovely, definately going on my lust list! I love Please me!!!! I wear it a lot!!! universal flattering!!! Such a nice colour on you. Going to have to have a try of this myself..